In stifling summer, the discomfort index increase and it will be hard to walk on the street. Then, it will be a good idea to find a place where you can cool your body down. This Yeouido Mulbit Square is a perfect break area where you can relax your foot in a cool water and kids can play with a stream of water from fountains. 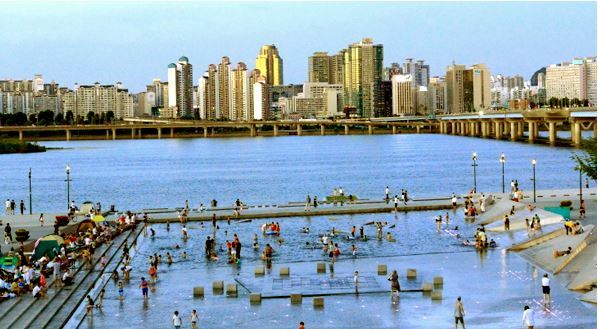 It is located in Yeouido Hangang park where anyone can visit easily by the transportation system. Visit the Yeouido Mulbit Square and enjoy the summer as your style.